Josef dieter Sepp Maier, was born on February 28, 1944. He is a professional football goalkeeper and is regarded as Germany’s greatest ever goalkeepers. He was given the nickname “Die Katze” (The Cat) because of his elasticity as a goalkeeper who made impossible saves. Besides his career as a goalkeeper he was also a trendsetter of sorts with his overlong black shorts and outsize “Mickey Mouse” gloves, which are now known to be standard for players. He was also known for his sense of humor for example at an instance during a match at the Olympiastadion a duck strolled onto the pitch and Sepp tried to catch it. 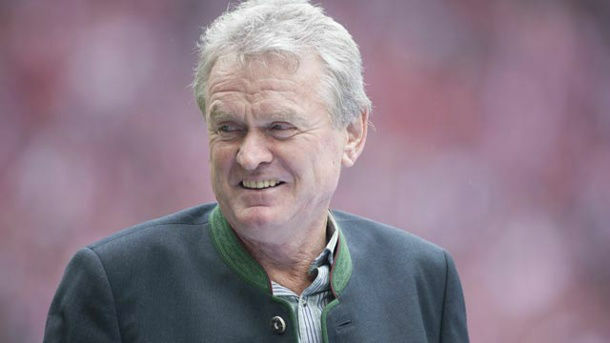 In June 2009 Sepp was awarded, by the Bavarian Government, a Life Achievement award. Sepp has a total of 599 appearances under his belt. Sepp was born in Metten and before playing senior football with Bayern Munich he played for a local club TSV Haar. After joining Bayern, in 1958, he spent the entire 19 years of his career with Bayern. During the 1970’s he was included in the legendary Bayern team alongside Franz Beckenbauer and Gerd Muller. He also won three European Cups consecutively, and set a German record. From 1966 to 1979 he played 442 Bundesliga matches in a row which still stands as a German record. Sepp played in four consecutive World Cups with the West Germany team. In 1966, he was a substitute to Hans Tikowski but didn’t make an appearance. In Mexico, at the 1970 FIFA World Cup he was the acknowledged starter and played all the games, which include the legendary 3-4 loss against Italy. In 1972, during the European Championship, Sepp claimed his first medal for West Germany. In 1974, when Germany hosted the world cup, he transcended in his career as he didn’t let a single kick move past his hands and into the goal post for four matches straight out of the total seven matches his team played. The Germans swam right to the finals with a legendary team that included Franz Beckenbauer, Berti Vogts, Gerd Müller and Paul Breitner alongside Sepp Maier. West German team had experienced true joy after defeating a Johan Cruyff-inspired Neatherlands team by 2-1 in the finals that took place in Munich and winning the World Cup. In 1978, when Argentina hosted the world cup, Sepp, not at his best but still exceptional, gave a steadfast performance but despite all the efforts West Germany couldn’t reach past the second round of the tournament making this the last big tournament in Maier’s career. In 1976, Maier reached the finals of the European Championship again but lost to Czechoslovakia during penalty kicks. Maier received 95 caps for his country. He was German player of the Year thrice in the 1970’s, a rare achievement for a goalie. In 1979, due to a car accident his career ended at the age of 35. Maier later went on to coach, both, his club and country. In October 2004, Jurger Klinsmann terminated Sepp’s contract after a small dispute over Oliver Kahn and Jens Lehmann. He coached goalkeeping at Bayern and then retired in 2008.